Have you heard about Kindle Create from Amazon? It’s a free service for self-publishers to format ebooks and print books to sell on Amazon. It will accept a Word .doc or .docx file and allow the publisher to create a “custom” ebook. As with any type of format, it’s Garbage In, Garbage Out. Your source document must be in tip-top shape–edited, polished, proofread–and as clean as you can make it against unwanted coding. (I’ve written extensively in this blog about the importance of a clean source doc and how to efficiently get it into shape.) I tried different levels of styling to see what the program will accept and what it won’t. I found that the best way is, in Word, to set up the body text or Normal style as if the doc is formatted for an ebook, but to leave the headings, front matter and back matter unstyled. Place all front and back matter in the order you want for the finished book. (And big pro, don’t worry about the table of contents–Kindle Create will generate it for you.) I also used tags to note where I want page breaks, scene breaks, and special paragraphs (the tags serve as search terms). Above is a clean doc, styled in Normal, with Heading 1 applied for my own purposes in Word. Kindle Create doesn’t appear to recognize heading styles. And notice, no page or section breaks. 1. When you first open the program a box will appear that asks you what type of project you are creating, and the language (the program supports a multitude of languages). Above, the loaded and converted Word doc. Basically no styling. The tag you see == is a search term, my indicator for page break. 4. Apply element formatting. In the Text Properties pane on the right side of the screen KC has broken down the “elements” into Common Element (the body of the work); Title Pages; and Book Start and End Pages (front and back matter). In a work that is text-heavy, such as a novel or narrative non-fiction, you will be able to find just about everything you need. (I’d be reluctant to use this program for any non-fiction project that requires sophisticated styling and multiple images.) To apply an element (actually, a style), set your cursor at the beginning of the text and then click on the option you want. You can modify the “elements” to an extent. On the tool pane to the right click on “Formatting”. Any item that isn’t grayed out can be modified. For instance, if you want more or less space above or below your chapter headings, you can adjust them. Be aware, though, modifying one does NOT modify them all, and it does not change the element styling. So you will have to go through your book and modify each element individually. (Here is where using tags is helpful. Use the tag as a search term in the Find box.) You can also clear the formatting, if you wish, and apply all new formatting. If you make a mistake use Ctrl+z to undo the mistake. Customizing the styling works on multiple paragraphs, too. For instance, in the book I was using for practice, I disliked how KC set up the copyright page. So instead I went to the first line, right clicked, and selected “insert a section break”. This put my material on its own page. Then I selected all the text and styled it. With the text selected, you can see the options for custom formatting in the right hand tool pane. Click “Clear” to remove all formatting. Now it’s time for last looks. If you used tags, make sure they are all deleted. Scroll through the section list in the left hand pane and make sure you’ve listed all your chapters/sections. This is quick and easy–but I heartily dislike that I cannot modify the heading. If you will use this program for a print layout, KC will insert page numbers for you. Now it’s time to preview your ebook and run it through its paces with various font faces, font sizes, and different devices. The previewer does a fairly good job with a nice display. It leads to my biggest gripe with the KC program. I’m a huge proponent of proofreading. With every ebook I format, the author gets a chance to proofread it. The best way to proofread an ebook is to load it up on a device and go through it line by line. That way you can catch not only typos, but errors in formatting, too. If there’s a way to generate a proof file from KC, I can’t find it. (I haven’t gone so far as to try publishing my practice books. I’m assuming clicking “Publish” will take you to KDP.) You can use the previewer for proofreading since you can see the formatting, but with the previewer open you cannot do any editing. So it’s open, close, try to remember where you are, on and on and on. Ridiculous. My best suggestion is to have a markup doc (in Word) open as you go through the text in the previewer. Once done, transfer any changes to the ebook in KC. Inserting images is easy. Place your cursor where you want the image, right click and select “insert image”. By clicking on the image, a tool pane opens that displays Image Properties. You can kind of size your image, position it and add alternative text. I haven’t messed around with that yet. So that will be in another post. For the self-publisher on a tight budget who intends to use KDP Select, this is a reasonable option. It produces a product that will work properly on any Kindle device or app. So, Dear Readers, does anyone have a book they formatted with Kindle Create they’d like to link to in the comments? The biggest problem Do-It-Yourselfers run into isn’t ability, but lack of experience. I do multiple ebook formats and print layouts every week. My routines are down pat. But when you’re only doing one format a year it can be like re-inventing the wheel each time. For an ebook it’s super easy to make a boilerplate template that includes your standard front and back matter. When you’re ready to format, all you have to do is fill in the blanks, update whatever needs updating, import your text, style the headings and such. Boom. Twenty minutes. Ready to go. Open a new blank doc in Word. Check the boxes that best fit how you work. Modify and/or create new styles for use in this template. NOTE: It’s unnecessary to do more than the basics that you will require in a bare bones format. If you need additional styles for a project it’s super easy to add them to your working document. Or, you can update the template itself. The sample above is a template I created for markup documents to provide to my clients when they are proofreading their ebooks. It has only four paragraph styles and two character styles. The navigation guide is created automatically when I use Heading styles. Super simple. *Quick way to delete tabs with Find/Replace. In the Find field type ^t and leave the Replace field blank. Click Replace All. Convert soft returns with Find/Replace: In the Find field type ^l and in the Replace field type ^p. Click Replace All. Crafting a template for a print layout is a little trickier. It’ll probably take another blog post. The same principles apply. It’s all about styles. If you all want a post about print layouts, say the word and I’ll get on it. By the way, if your do-it-yourselfing needs a bit of a jumpstart, I’m more than happy to create a custom ebook template for you. It’ll cost you ten to twenty-five bucks, depending on the complexity, but you’ll be able to use it over and over again for stellar results every time. Contact me at jayewmanus at gmail dot com. There are two types of PDF files that concern writers and from which writers would like to extract editable text. The first is created by exporting a text document from a word processor or publishing program into a PDF file. The second type is created by scanning printed material and producing a PDF file. The good news: Converting a PDF file into a Word doc is easier than ever and the results are better, too. And, you probably have the tools on your computer already. The bad news: Conversion is always a mixed bag—some results are vastly superior and some will make you tear your hair out. If you have a version of MS Word that is capable of exporting a PDF file then it is capable of importing a PDF file. How to know? Open a doc in Word and click Save As. In the tool box is a dropdown menu of different file types: .doc, .docx, .rtf,. txt, and a bunch of others. If the list includes PDF, you’re golden. Conversion is as easy as opening a document. Once it is open on your computer do a SAVE AS into the DOCX file format. In the example the Show feature is activated so you can see the paragraph returns and other formatting. Headers and footers are rendered as headers and footers (for the most part, depending on how the original PDF was created), meaning they can be quickly deleted or safely ignored. It’s not horrible about retaining paragraphs. If the fonts used in the pdf are not available on your computer, Word will substitute fonts. If Word is unable to read the font, it will insert black boxes, pink boxes or gibberish. Images and other graphics can make the file difficult or impossible to open. This works best for a text-only document. Depending on the source PDF, Word can go into overdrive attempting to retain the formatting. That can result in massive (and slow!) files. You may have to create a Google account (gmail account) in order to use Google Drive, but it’s free and widely available. Save As to make sure the new Word doc is on your computer. The PDF file is editable in Google Docs, so if you don’t have Word or don’t want to use it, you can work on the PDF directly. VERY IMPORTANT! : This version remains on the cloud, not your computer, so if you want it saved on your computer you will have to download it. No real formatting to fight with. It makes very little effort to convert images and graphics during conversion, so it rarely chokes up or crashes because of it. Headers and footers will have to be removed manually. Hyphenation will have to be cleaned up manually. Not fabulous about retaining paragraphs. Forget trying to retain the formatting from the PDF file. The text is what matters, focus on it. Work in Web Layout view rather than Print Layout view so that you can adjust the width of the screen to approximate the width of the PDF text. This will make checking for and fixing wayward paragraphs easier. Make sure all scene breaks, page breaks and deliberate blank lines are clearly tagged with some kind of marker so you know exactly where they are. Don’t use extra hard returns or actual page breaks to mark them—you’ll regret it. If possible, work with the Word doc and the PDF open on the screen side by side so you can see scene breaks, page breaks, deliberate blank lines and special formatting such as italics. Activate the Show feature (click the pilcrow icon ¶ in the Home Ribbon menu) so you can see such things as paragraph returns, soft returns, tabs and spaces. If Word is having trouble reading a font, you will need to try another method. Contact me (see below) and I’ll see if I can find a solution for you. Clear the formatting. First, make sure all your scene breaks, page breaks and deliberate blank lines are clearly marked. Second, tag your italics (easy way: https://jwmanus.wordpress.com/tag/italics-in-ebooks/). To clear the formatting. Ctrl+a to select all text then click the Clear All Formatting icon in the Home Ribbon. This will leave you with a blank slate, essentially, and remove any unwanted formatting Word has applied. Apply the Normal style to the selected text then modify the style so it suits you. Restore the italics. What if Word has hidden the hyphens? It’s a common problem. It’s frustrating because you might never know it happened until you format your book as an ebook or send it in an email to someone. To find out if Word has done this, you will need a text editor. On a Windows machine, Notepad works fine. Open a blank document in the text editor. Use Ctrl+a to select all the text in the Word doc. Copy it, then paste it into the text editor. If you see this character ¬ then Word has replaced the hyphenation with “non-characters” that will cause trouble down the line. Word’s Find/Replace won’t do you any good. You will need to tag your italics, copy/paste the entire document into the text editor then use the editor’s Find/Replace function to delete the hyphenation. If neither of these conversion methods works for you, feel free to contact me at jayewmanus at gmail.com. I have other tools on hand that can convert difficult files. If the conversion does work for you, but you’re struggling with restoring the text, explain your problem in the comments and let’s figure it out. I’ve been using Amazon’s Kindle Previewer app ever since I started formatting ebooks. Have to say, I was never much impressed with it. 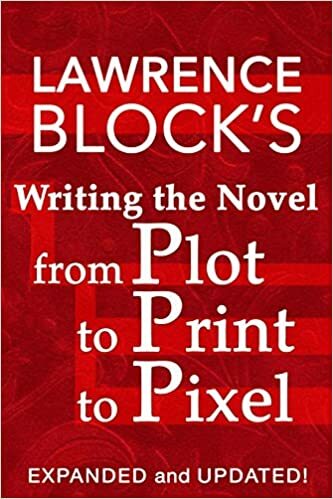 It had some useful features and it was a quick way to convert an epub file into a mobi file, and a sort of quick way to convert a Word doc into a mobi file so I could load it onto a Kindle or tablet. As for viewing a book on the computer? Forget it. It looked awful and the screen size couldn’t be adjusted. For some tasks it was essential, but I never fully trusted it to give me a hundred percent true rendering of my ebooks. Then I got a brand new computer and when I downloaded the Kindle Previewer, I got the newest version. And oh my God, Amazon, what have you done? The display is big and clear and along with the “Kindle” view there are thumbnails of individual page screens. Along with a much easier, clearer to understand user interface (everything you need is right there in a menu panel on the left side of the screen), it also does some nifty tricks. Like popping up footnotes. It also gives a great rendering of a smart phone screen. This is essential for checking alignment and making sure such things as headers aren’t so oversized they look stupid on a small screen. For those of you, my dear readers, with a Do-It-Yourself frame of mind, this version also converts Word docs. No more need for converting the doc first in MobiPocket and then converting the prc file. Click File > Open Book and select a Word doc and the program will convert it into a mobi file. 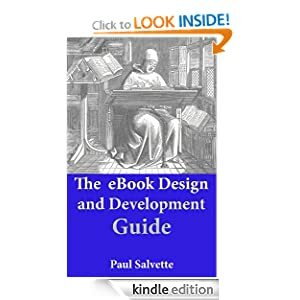 It won’t be a commercial quality ebook and it won’t build the internal navigation guide, but it does allow you to check your styling and the mobi file can be loaded onto your Kindle or tablet for proofreading. The program no longer automatically creates a mobi file to place on your computer. You have to ask it to export a file. It takes just a second, so it’s no hassle. The only downside I’ve discovered is that it’s no longer a good tool for what I call bizarre character checks. When I have questions about whether or not a particular character or symbol will render across the board in all devices, the old version of the Kindle Previewer allows me to do that by viewing the file in DX mode. If I see a question mark or gibberish, I know the character is unsafe and I have to find a substitute. There is no DX mode in this new version. I’m keeping the old version on my other computer specifically for that task. Homonyms are a bare bear, am I right? You know the difference between “faze” and “phase”, but your fingers type “The process didn’t phase him,” and your brain hears “The process didn’t faze him.” While proofreading, copy-blindness fills in the proper word instead of seeing the error, so you don’t even realize you made the mistake until a helpful reader sends you an email about finding the typo in the published book. Fortunately, MS Word has a tool that helps find homonyms. It’s in Find/Replace: “Sounds Like (English)”. Go to Home > Editing > Replace > More. Check the box for “Sounds Like (English)”. Enter a homonym you’re unsure of. For example “faze”. Click “Find Next” and Word will find any word that sounds like faze, including “phase”. You can double-check each instance and determine if you’ve used the correct word. To make sure you find all the word forms, such as fazed, fazing or unfazed, check the box for “Find all word forms (English)”, too. This also works for words with apostrophes, such as “it’s”. Mixing up “its” and “it’s” (or God help us, its’) is probably the number one homonym mix-up across the board. Searching for them with this method is a bit tedious, but it’s a lot more reliable than trying to root them out during a proofread and much better than letting errors appear in the published book. To find them type its into the Find field. Check the boxes for “Sounds like (English)” and “Ignore punctuation characters”. Use “Find Next” to search for each instance and determine if you used it correctly. This also works for possessives such as “the Smiths’ house” or “Smith’s house”. EDITED TO UPDATE: It’s been pointed out that this option is not available in older versions of Word. If your Find/Replace task box doesn’t look like the one pictured above, then this isn’t going to work for you. Sorry. My goal for 2018 is to teach as many writers as possible how to efficiently and expertly use MS Word as a writing and self-publishing tool. Watch this blog-space for more tips, tricks and techniques. Or, if you’d prefer all the information in one package, including step-by-step instructions for formatting ebooks and print-on-demand editions, WORD for the Wise: Using Microsoft Office Word for Creative Writing and Self-publishing is available at Amazon as an ebook and in print. Well, no, I did not. Now I do. If you are reading this, then you do, too. In the main toolbar, in the Quick Access area is a down arrow. Click it to open an options menu. Click “More commands” and that will open the menu. Go to File> Options> Quick Access Toolbar. Once you are in the “Customize the Quick Access Toolbar” menu, scroll down to either “Read Aloud” or “Speak” (it depends on which version of Word you are using), click it, click “Add” and it will appear in the right hand list that shows which commands are active in your Quick Access menu. Click OK.
To use text-to-speech, select a passage in your doc and click the icon in the Quick Access Menu. Word will read back your text. Click the Text To Speech tab. In the Voice selection box, click the voice that you want to use. Word is an office productivity program rather than just a word processor. Its built-in grammar rules are set up for business writing rather than for fiction. Don’t believe me? Turn on the grammar checker. Follow its advice, Creative Writers, and you’ll sound like a bureaucrat. Their grammatical rules for using quote marks don’t always apply to fiction or creative nonfiction. Word’s default is the straight quote/apostrophe. No problem while you’re writing and editing. Problems arise when it comes time to turn your writing into an ebook or print edition. Professional publishing requires curly quotes (aka smart quotes) where the left/open mark is a different character than the right/close mark. Apostrophes always look like a right/close mark—even when they are used at the beginning of a word. My recommendation for the straight vs. curly quote issue is to toggle on AutoFormat so that Word changes straight to curly quotes automatically while you’re typing. Go to File>Options>Proofing and click AutoCorrect Options… In the menu box that opens, check the box for ‘“Straight quotes” with “smart quotes”’. Click Okay, be sure to click Okay in the main menu. Done. Now whenever you type the single or double quote character it will be a curly quote. What if you’ve been using straight quotes? Or you, like so many do these days, write sections in other programs or devices, and that program uses straight quotes. When you import or paste the text into your Word doc, the straight quotes remain, filling your doc with a mix of straight and curly quotes. With AutoFormat turned on, transforming straight quotes into curly quotes is very easy using Find and Replace. Word will turn all the marks into curly quotes. Depending on your version of Word, running those operations can create some wrong-way quote marks. Those are fairly easy to find. Use Find Next to search for each instance. If the quote mark is turned the wrong way, fix it. Use Find Next to search for each instance. If the apostrophe is turned the wrong way, fix it. British and Australian writers run into a special problem with open contractions. A space+’ looks like a regular open quote for dialogue. It might be easiest to search for the actual words that you’ve contracted—if you can remember what they are. They might turn up in spell check and can be fixed as you find them. There is a search that you can run using wildcards. In the Find and Replace menu click More to open the full menu. Check the box for “Use wildcards”. You will have to copy and paste a left single quote into the search string. When you use Find Next, Word will find every left single quote with a space before it and a lower case letter after it. In order to find numbers, such as dates, that have been contracted from, for example, 1960s to ’60s, change the search string to find a range of numbers. —will root out the remaining wrong way single quote marks that you can fix on a case by case instance. “Now is the time for all good children to line up at the door, “ said the teacher. Basic rules of grammar will help you find those instances. In order to keep the number of search results to a reasonable number and to find only the mistakes, you must copy/paste the left and right quotes into the Find fields. Typing the single or double quote marks into the field will insert straight quotes, and then Word will find so many your eyes will cross. Copying and pasting the correct character is the only way to reasonably search. Use Find Next to find the typos. For British and Australian writers, the same general rules apply to single quote marks. Copy/paste the wrong-way turned single quote along with a space. What About Missing Quote Marks? I had a writer ask me the other day whether there’s a way in Word to find missing quote marks. Better yet, a way to find and fix missing quote marks automatically. It’s a common typo that’s devilishly difficult to spot while proofreading. Unfortunately, there are so many variables it would be impossible to come up a one-size-fits-all Find and Replace operation. There is, however, a way to search that will highlight missing quote marks without giving your brain the opportunity to “fill in the blanks with what you meant to do”. This is a wildcard search that will find every instance of a left/open quote mark closed by right/close quote no matter what or how much text is between them. How does that help find missing quote marks? In the image below you’ll notice there should be a quote mark after “Hey! but the search result goes all the way to the end of the paragraph. If you’re purposefully looking for missing quote marks, you will spot right away that something is amiss. Depending on the size of the doc, this could be a fairly tedious search. The advantage it has over word-by-word, sentence-by-sentence proofreading is that you are looking for and paying attention to just one thing—the missing quote marks. Insert a search string that exactly matches the string in the image—copy and paste left and right quote marks from the text into the Find field—and check the box for “Use wildcards”. Use Find Next and insert any missing quote marks you find. Ebooks ARE real books. Show respect, show the love. Communication, Information, education, entertainment--Ebooks have it all. An essential resource for serious writers. All you need to know to take your formatting skills to the next level. Manage your front matter, back matter, ToC, metadata and more. 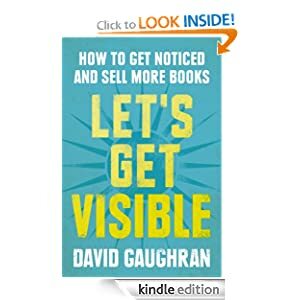 How to get noticed and sell more books.